Mystic MTB park is the home of alpine cycling club’s MTB activities. Mystic MTB park is different to the parks managed by governments, council’s or business. 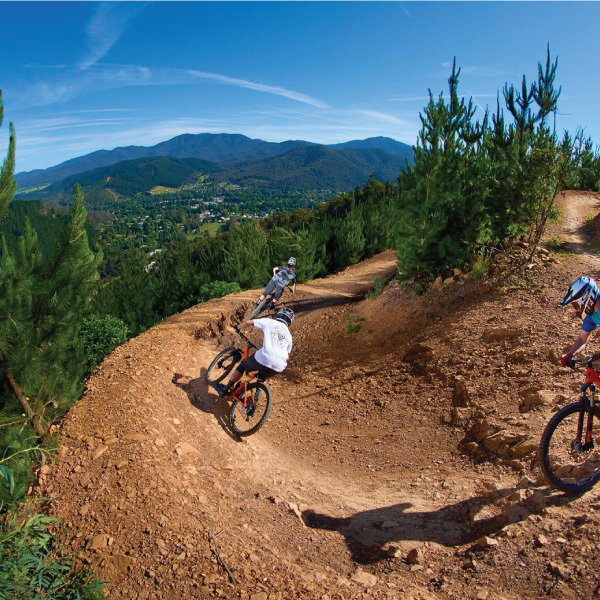 Mystic MTB park is a community built mountain bike park managed by alpine community plantations. A park built by riders, for riders right in the middle of a commercial pine plantation. Alpine community plantations and alpine cycling club have worked with dirt art to develop a trail master plan and some detailed design plans to identify areas ready for development and allow local trail builders to continue to build high quality, technical trails that make the best of our landscape. If you’d like to be part of the trail building crew get in touch with the alpine cycling club trail works coordinator and they’ll let you know when the next working bee is or how to build your own trail.